A refrigerated container or reefer is an intermodal container (shipping container) used in intermodal freight transport that is refrigerated for the transportation of temperature sensitive cargo. Our company is a master in providing Heavy Lift Project Cargo Services. Our firm is keenly indulged in providing Automobile Shifting Service. These services are generally popular amongst customers seeking to move or rather relocate their vehicles. These services are provided by our experienced workers under the supervision of our expert executives. Moreover, we provide these services at reasonable expenses. S. S. Patil Logistic Pvt. Ltd.
Nordic's dedicated project cargo team offers expertise in handling and stowage of your oversized cargo. We know that this type of unique cargo requires extra special care and handling and we aim to transport your special equipment in the safest way possible. We "take it personally" to deliver your special cargo to its destination in pristine condition. We built and maintained a strong partnership with the world's premier air consolidators. Our confirmed space allocations guarantee you flexibility in routing. We offer regularly scheduled consolidation, deferred and expedited services. Acknowledged amid one of the pioneer business organizations, we are instrumental in rendering ODC Cargo Management Services. These services are imparted underneath the assistance of assiduous personnel as per predefined market norms and values. In addition to this, these services are acclaimed amid our clients owing to its promptness, reliability, flexibility and affordability. Our company provides most prompt transportation services for 20 & 40 Import and Export Containers from ports to sites and sites to ports. These containers are used for the movement of conventional dry cargo. This range of containers also finds its application in domestic movement for internal movements within the country. Over the years, RMIPL have managed numerous high value ODC & Project cargoes involving storage, transshipment and transportation, offering our customers world-class Project Cargo services at economic costs. 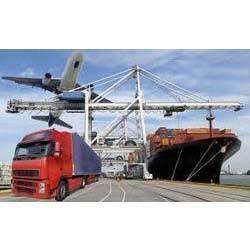 We are counted as one of the top-notch service providers of Cargo Service. Appreciated for its execution within promised time frame, the cargo service is rendered at cost effective prices. In compliance to the specifications provided, the cargo services rendered by us can be customized.